Even though I’ve finished the game, I probably couldn’t provide a very good summary of Bloodborne’s plot. This isn’t because its narrative was poorly told. Instead, like its developer From Software’s previous titles, it’s the lack of direct exposition that makes it tough to sum up the game’s story. 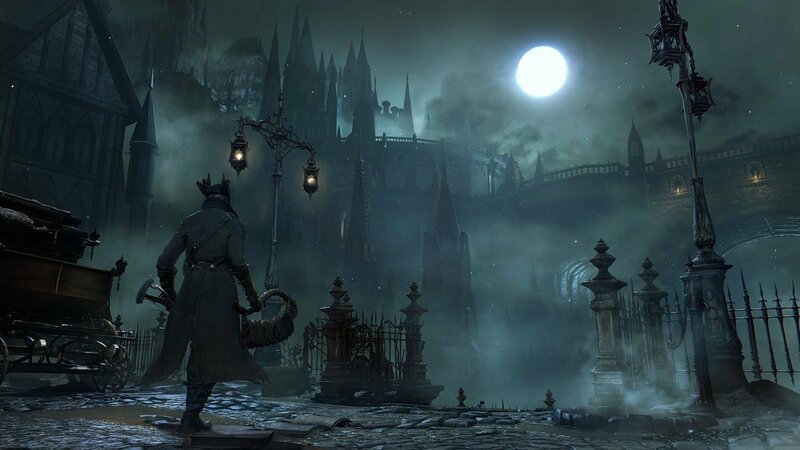 Bloodborne is a game that demands players draw lines between vague narrative clues—to infer the history of a fantasy world based almost entirely on their ability to sort tiny bits of information into their proper place. This is a strange way to take in a story, but, like almost everything else about From’s approach to game design, it’s the process of solving an expertly crafted mystery that makes the experience so compelling. In an interview with The Guardian’s Simon Parkin, Bloodborne Director Hidetaka Miyazaki describes how as a child he often read books that were too advanced for his age. The young Miyazaki would use the book’s illustrations to provide extra detail for sections he couldn’t understand, essentially interpreting the story by compensating with his own imagination. As Parkin puts it, the process made Miyazaki feel as if he was “co-writing the fiction alongside its original author.” After learning this, the unique storytelling method of the games Miyazaki has directed at From—Demon’s Souls, Dark Souls, and Bloodborne—begins to make a bit more sense. Rather than offer up a clear narrative arc through expository dialogue and cut scenes, these games provide only the basic framework of their plot and allow players, like Miyazaki as a child, to exercise creativity in determining how everything fits together. We may not know exactly why the events our characters take part in unfold the way they do, but a combination of remembered details and imagination allows us to attempt a personal explanation. [quote_left]Most videogame stories that leave players confused at the end aren’t particularly well told. [/quote_left]The result is stories that are often felt more than they are learned. Upon entering one of Bloodborne’s areas for the first time, I was often more excited to see what new narrative clues the environmental and enemy design might provide to my burgeoning understanding of the plot than anything else. Encountering a boss who, through appearance and name alone, seems to fit into previously mentioned events is an exciting opportunity to integrate new information; finding a passageway that connects two buildings may help explain the background of rival factions from the game’s opaque history. These are small moments that take on greater significance as they accumulate. 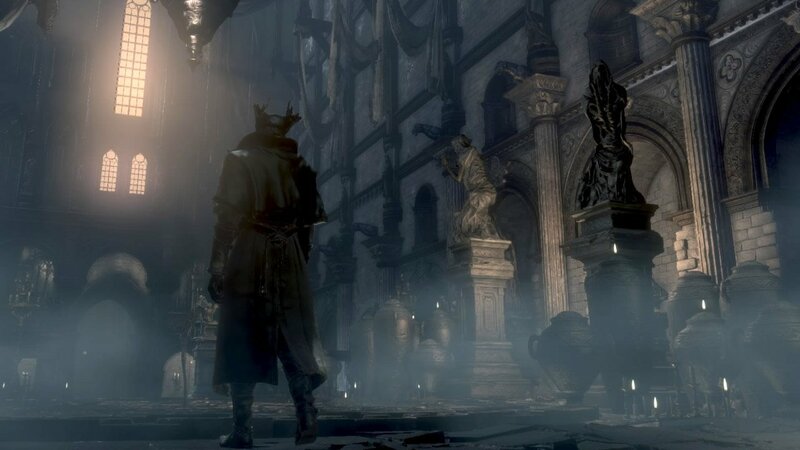 A particular moment towards the game’s ending—an environmental detail that I won’t ruin for curious players by describing—helped bring a large part of Bloodborne’s story into focus. With nothing more than an assortment of statues and the context of similar clues from previous areas in the game, a kind of epiphany occurred. I’d seen very little, but a few visual cues worked as a catalyst for increasing my hazy understanding of Bloodborne’s. Though I’m still unclear as to how what I learned at this point in the game slots into the overall story (there are an awful lot of enigmatic character names and events to figure out still), the sense of satisfaction of piecing together even this single part of the narrative was immensely satisfying. My own interpretation of what I was finding lead me, like any good art does, to an understanding of the game’s themes and dramatic intent that may differ from another player with the exact same experience. Most videogame stories that leave players confused at the end aren’t particularly well told. The characters’ motivation might be difficult to parse; a shoehorned plot twist could be more baffling than it was meant to be; a surplus of dense mythology could be hard to remember. But, the sort of bewilderment common to From Software’s games is different. It’s like difficult film and literary narratives where the audience is asked to think hard about the feelings instilled in them and interpret the work individually. The storytelling approach taken by Miyazaki and From wouldn’t be right for every videogame, but it works extremely well here. 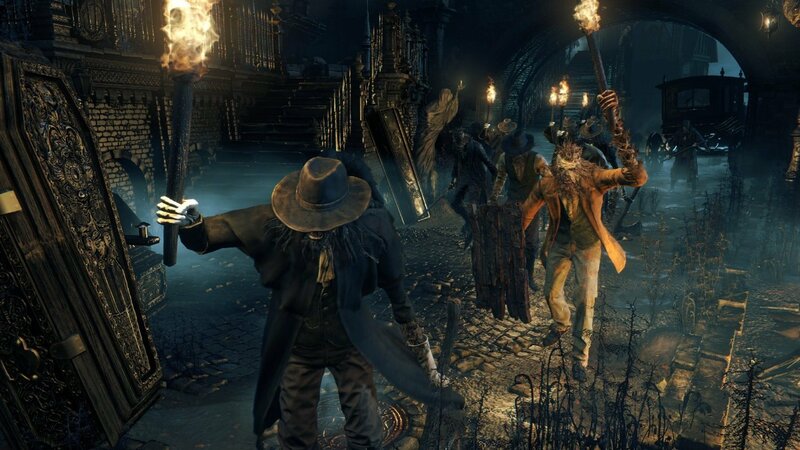 The Souls games and Bloodborne are fascinating not only because of their unorthodox gameplay mechanics and commitment to difficulty, but also due to their ability to fully invest players in the mysteries of their worlds. Stories that are as bizarre and challenging as From Software’s many diabolical boss fights are a perfect match.